If you're like me, then you probably enjoy seeing certain band member from a band you like branching out and creating their own projects. The way I view it, they probably have more creative freedom to express themselves this way. Being in a band sometimes means that what they want to create is constantly molded to fit the bands "brand and style". This is one of the reasons why so many bands we love breakup and we later see their band members come out with their own projects. Case in point, the very popular British pop boy band One Direction which was the start for all of their band members who have now launched their solo careers. But that's not always the case. Most times, artists need a new project while their band is taking a break or they just need a change of pace. Thus giving us hundreds of side projects from many different band members but they're not always successful. We appreciate their effort, though. Some successful side projects that you might already know about are Gorillaz by Blur's Damon Albarn and comic artist Jamie Hewlett, The Postal Service by Death Cab For Cutie frontman Ben Gibbard and Jimmy Tamborello from DNTEL, and The Dead Weather and The Raconteurs by Mr. Side-Project aka Jack White. And here are a couple more that you might enjoy if you already don't. Enjoy! Starting off with The Strokes, every single one of the band members has created a side project and I'm personally not mad about it. Originally named Julian Casablancas + The Voidz, is the alternative rock project of The Strokes frontman Julian Casablancas created back in 2013. He's also taken a stab at a solo career in 2009 and released the album Phrazes for the Young under his name. You can see the similarities and differences between his two projects for yourself. Continuing with the solo careers, Albert Hammond Jr. does rhythm guitar, keyboards, and backing vocals for The Strokes. He's released a couple of albums under his name since 2006 and has pulled inspiration from The Beach Boys, John Lennon, and The Velvet Underground among many others for his solo project. He's the son of well known songwriter and record producer Albert Hammond Sr. Both Little Joy and Megapuss are the side projects to The Strokes drummer Fabrizio Moretti. Little Joy is his Moretti's side project with Rodrigo Amarante of Los Hermanos and Binki Shapiro. Megapuss is Moretti with Devendra Banhart, Gregory Rogove, and Noah Georgeson. Moretti is half Brazilian and drew inspiration from the culture to give these projects a very different sound from what he contributes to The Strokes. Now this is bit more up The Strokes sound. CRX is the bands lead guitarist Nick Valensi. He also does backing vocals and keyboards for them but in CRX he debuts as lead singer and songwriter. CRX's debut album, New Skin, was released in 2016. Nikolai Fraiture is The Strokes bassist and Summer Moon is his side project with Jane's Addiction's drummer Stephen Perkins, Uh Huh Her's Camila Grey, and The Airborne Toxic Event's Noah Harmon. Thank goodness for musicians collaborating with each other and creating new magical sounds. This is an interactive music video so have fun with it as you watch. 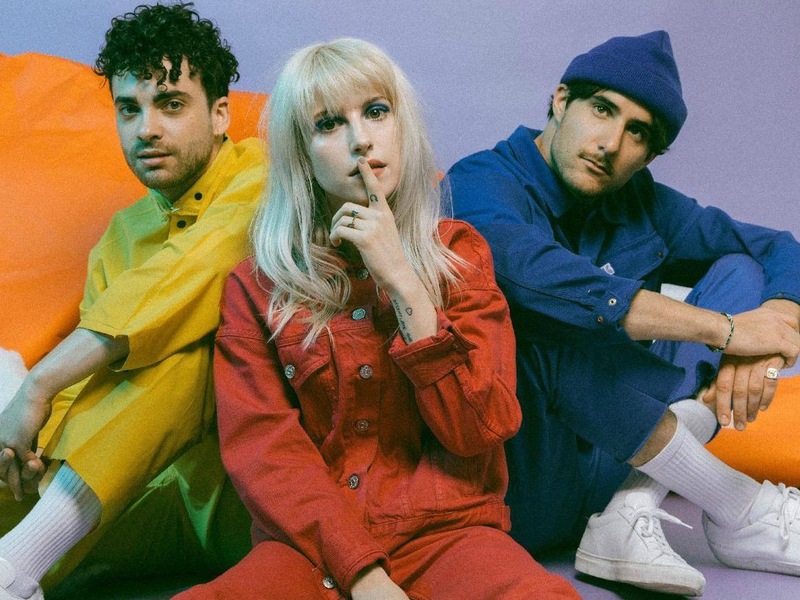 Halfnoise belongs to Paramore's Zac Farro. Soon after exiting Paramore with his brother Josh back in 2010, they both took a stab at a band together but Zac ultimately broke free and created Halfnoise. Since then, he has returned to Paramore but hasn't forgotten about his solo project. Jaws of Love. is Local Natives Kelcey Ayer's side project. You can hear the similarities because Ayer is one of the vocalists and primary songwriters for Local Natives. He further explores his ability to convey such emotion with Jaws of Love. This project was created in 2011 by Deftones singer Chino Moreno, guitarist Shaun Lopez, and Chuck Doom. They're based in Los Angeles, California and their sound has been described as electronic, dark wave, and witch house. To me, it's just a more pop version of Deftones and I quite like it. What do you think?